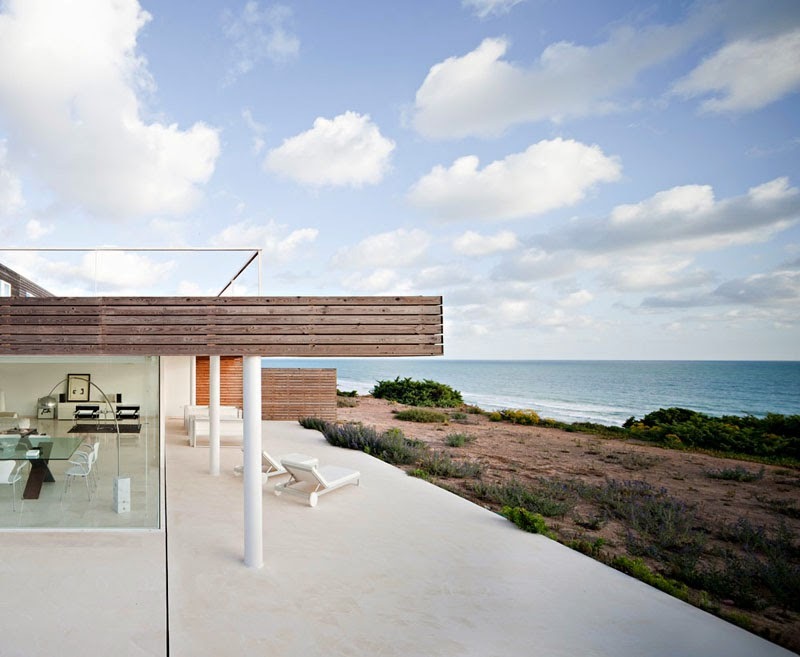 DBJC House is a minimalist oceanfront home located on a beautiful beachfront site in Cadiz, Spain, designed by architect Alberto Campo Baeza. 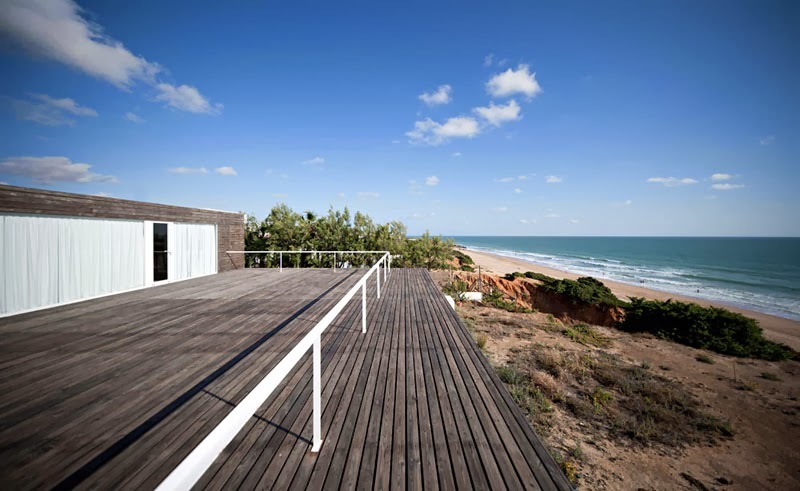 The low volumes extend horizontally, blend with the landscape and optimize the house’s relation with the sea. 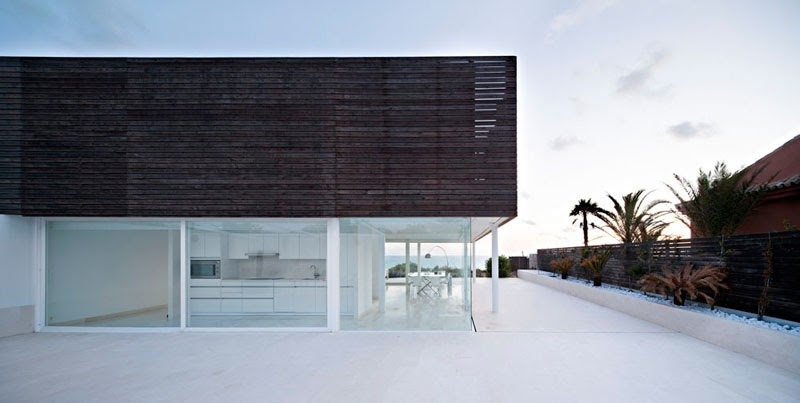 Large openings with frameless glazing capture the amazing views, while the continuous, light limestone floors extend the white interiors to outside terraces. 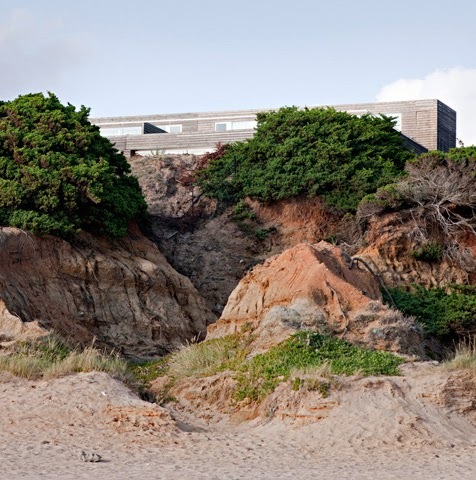 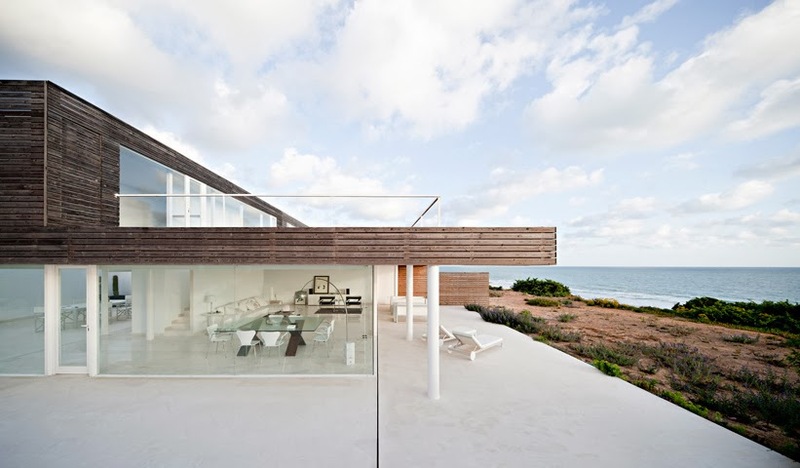 The project is an oceanfront house on the “Roche” beach in Conil, Cadiz. 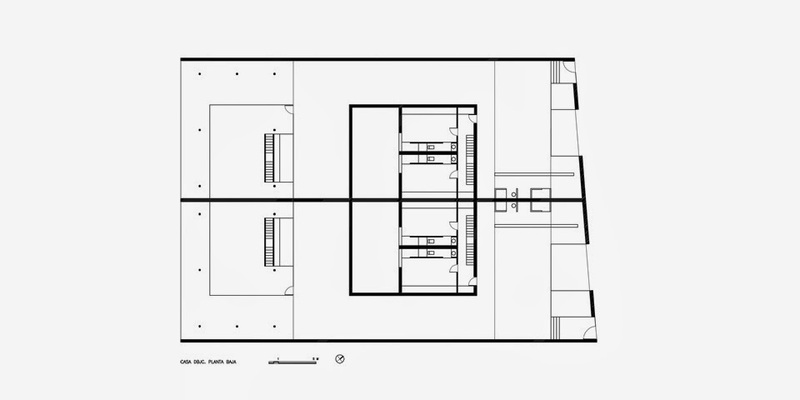 We built horizontal spaces that, set low to the earth, almost disappear. 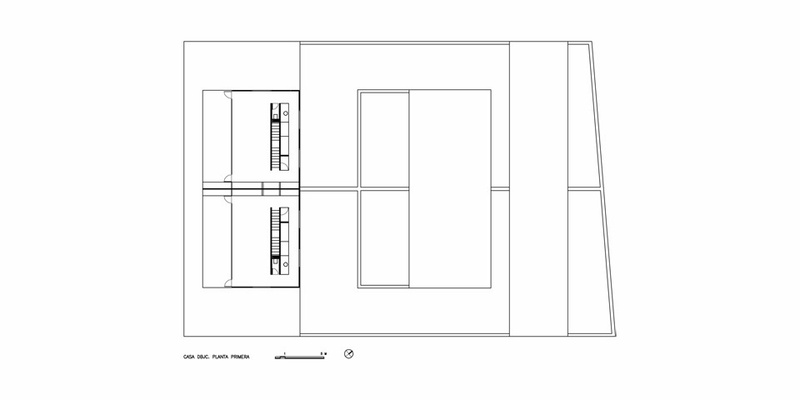 We place was limited with low white walls on which the volume settles, melding with the site. 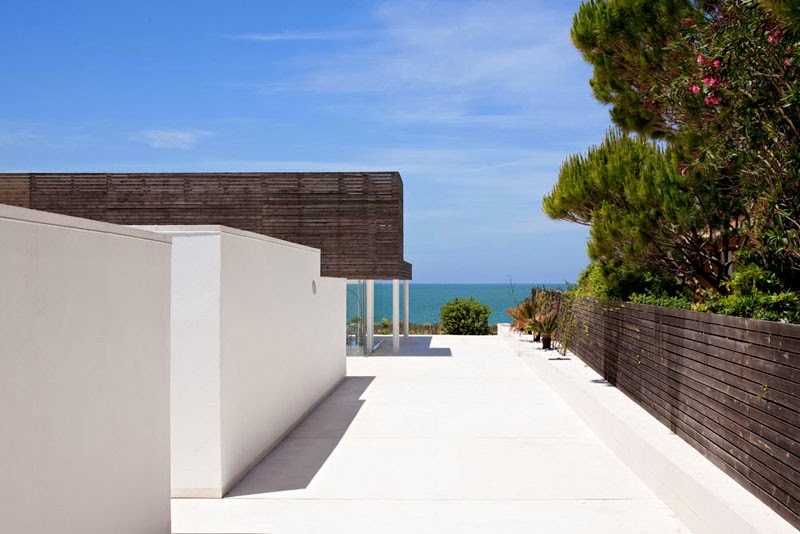 Three strips roofed with concrete slabs parallel to the sea and the street were formed. 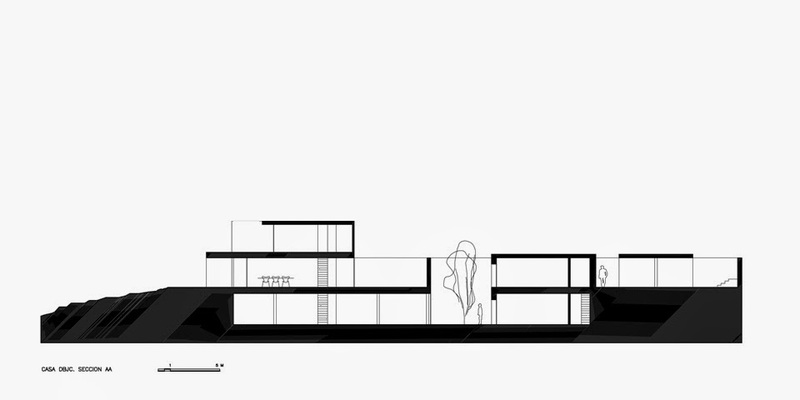 In the first, closest to the street, are the service elements. 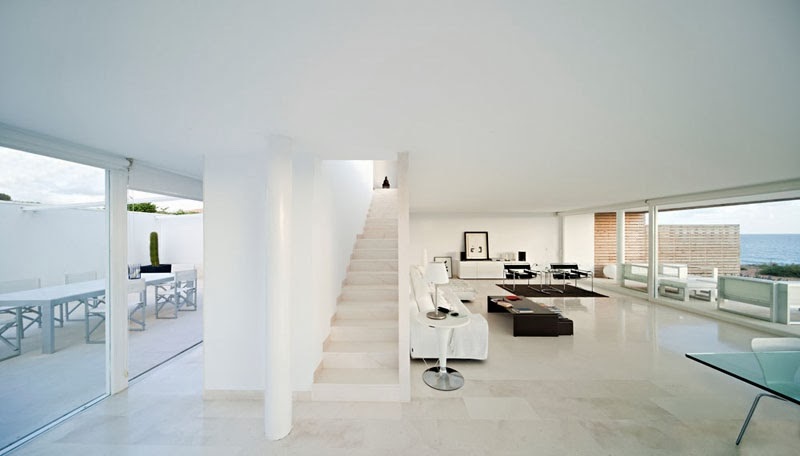 In the second, the bedrooms both upstairs and down. 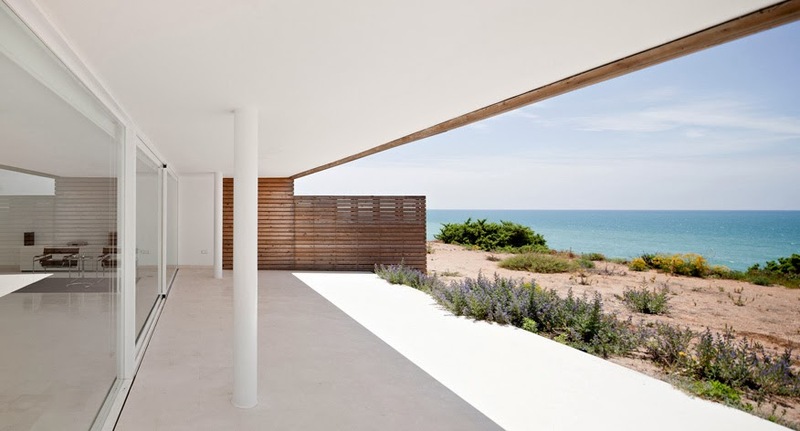 In the last, the closest to the sea, the main living area. 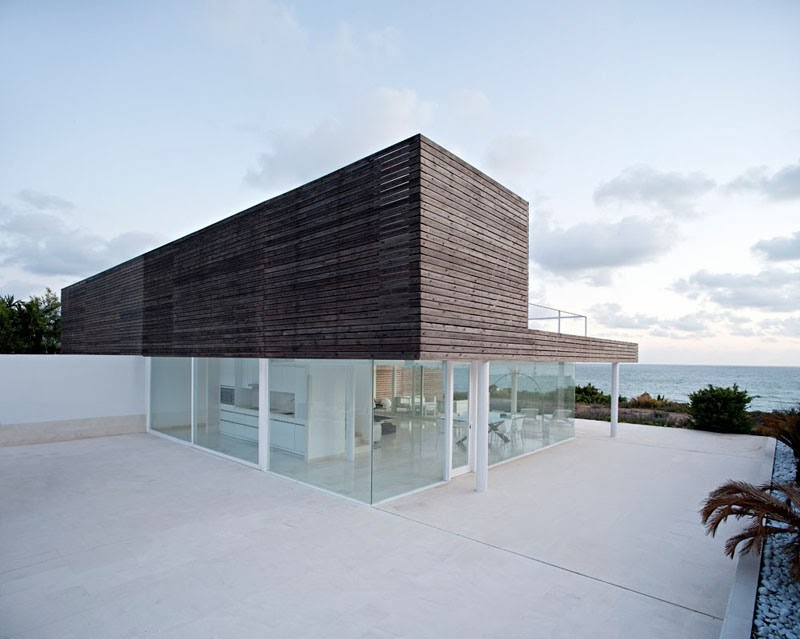 All is open, sometimes glazed to provide protection from the wind. 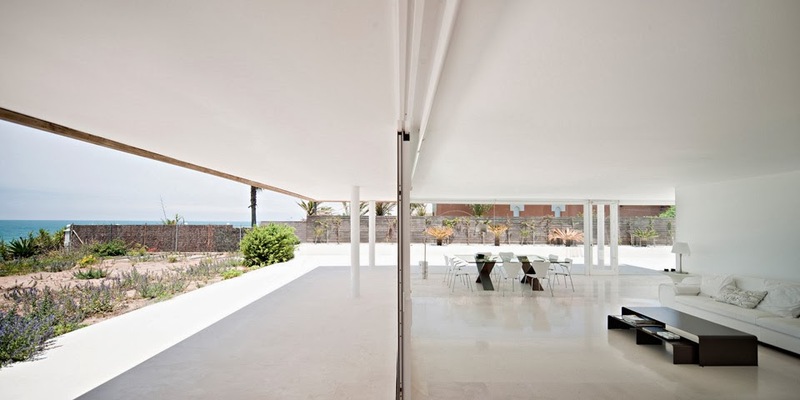 The structure is held up by a grid of white metal pillars. 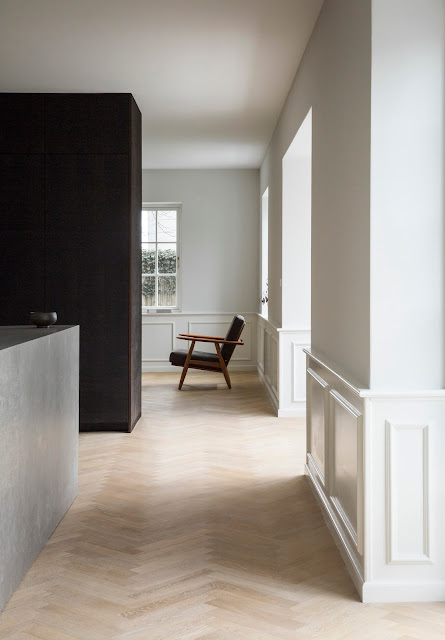 The continuous floor, is in light limestone. 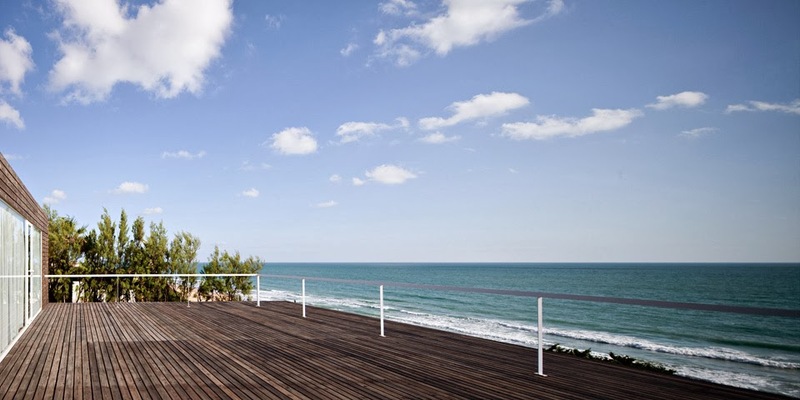 On top of the strip closest to the sea, at the highest point, there is a roof terrace with wooden screens. 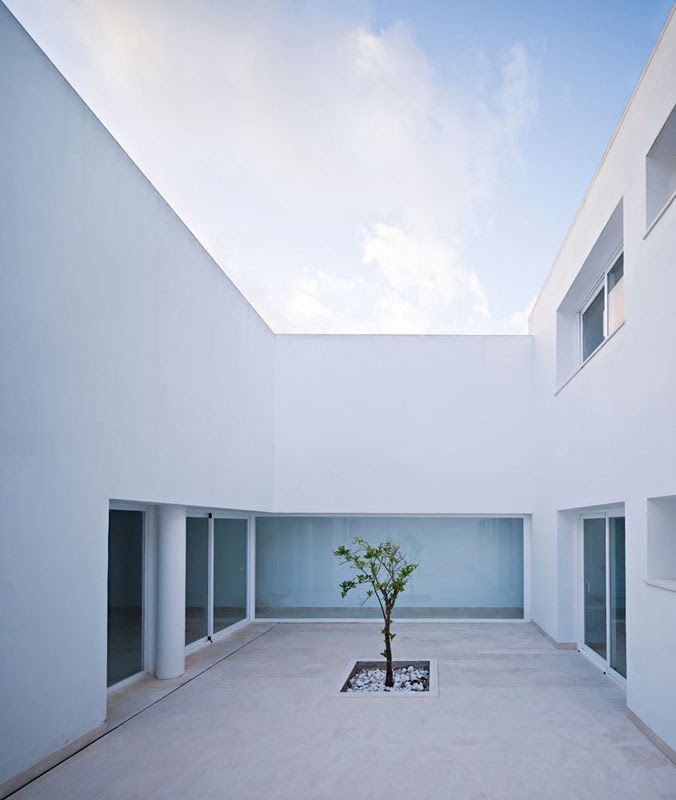 It is entirely open yet covered, like a large shade.